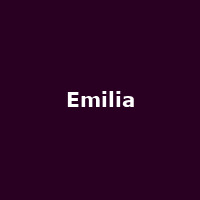 Tickets for Emilia in the West End for up to 1/3 off! 400 years ago Emilia Bassano wanted her voice to be heard. It wasn't. Could she have been the "Dark Lady" of Shakespeare's sonnets? What of her own poems? Why was her story erased from history? Celebrate women's voices through the story of this trailblazing, forgotten woman. Stand up and be counted. The show runs at the Vaudeville Theatre until 15th June 2019.